The Bergen Counseling Center is excited to announce a free 1 hour mindfulness workshop at our Ravenswood Chicago location. The mindfulness workshop will take place on Saturday, November 4th from 10am-11am at our Ravenswood office location and is open to both current clients and the general public. 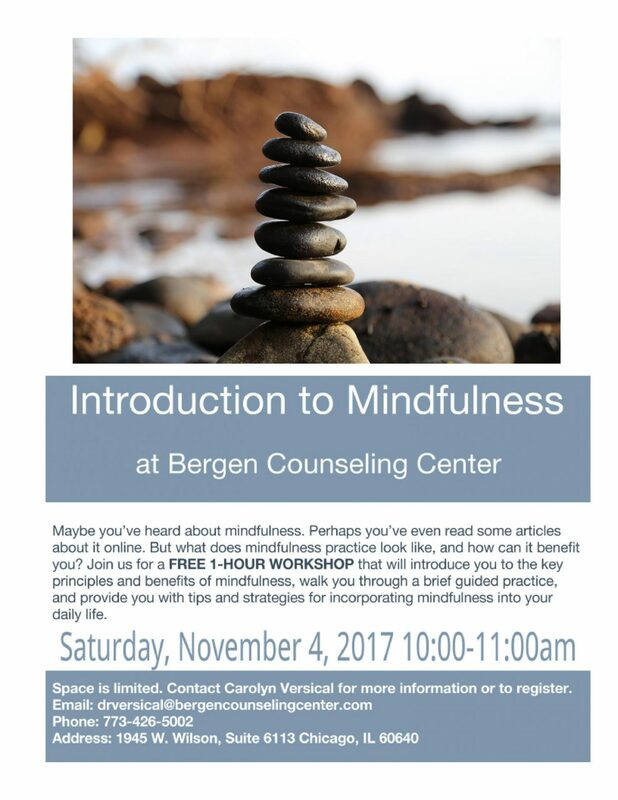 The workshop will be led by Bergen Counseling Center staff psychologist and resident mindfulness guru, Dr. Carolyn Versical. Dr. Versical will introduce the principles and benefits of practicing mindfulness, as well as, walk through practical mindfulness exercises to implement in daily life. 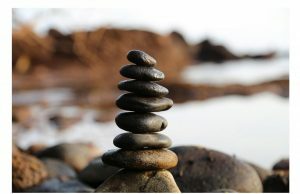 This workshop is perfect for both those who have been curious about mindfulness and also those who want to refresh and reconnect and refocus on their present experience. Space is limited! If you are interested in attending the free mindfulness workshop, contact Dr. Carolyn Versical to reserve your spot via email or phone. Please feel free to click the link below to download and distribute the mindfulness workshop flyer. Come join us on Saturday, November 4th to learn more about mindfulness and how it can contribute to your health and well-being. Contact Dr. Carolyn Versical to Reserve Your Spot Today!